There is no such thing as a “one size fits all” website. Every business is different, and every project needs a different approach and strategy. Here are some of the companies that we’ve had the pleasure of working with. 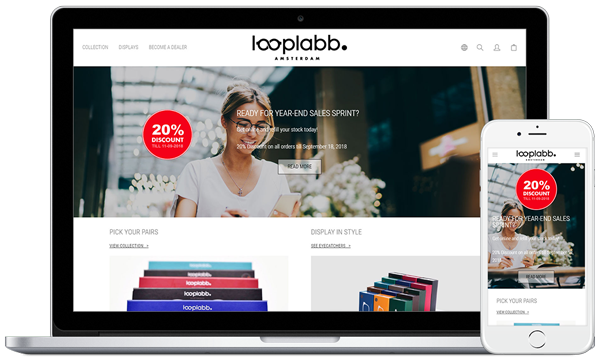 LoopLabb is an online wholesale vendor for fashionable reading glasses, based in Amsterdam. The website is completely custom developed, features multiple languages and wholesale shopping cart features such as repeat and bulk ordering. The shopping cart uses a custom connection with the owner’s sales & ordering software: products, stock and orders on the website are automatically synced with the ERP software, where the orders are fulfilled and shipped throughout Europe. 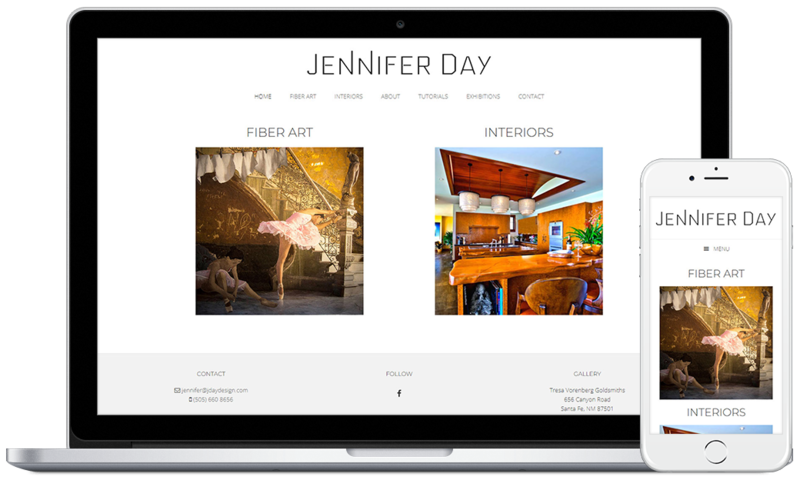 Jennifer Day is a local artist in Santa Fe, NM. The new website displays her work and offers visitors an option to buy her work online. 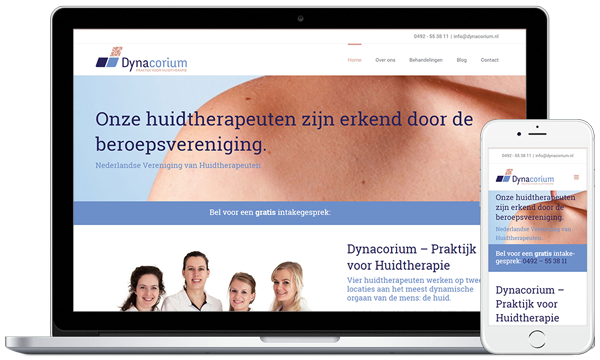 Dynacorium is a dermatologist with multiple locations in The Netherlands. They approached us for a website redesign. The design of the website focuses on a user friendly experience and accessibility (taking the target group into consideration) and improving conversion rate. After launching the website, the conversion rate increased by more than 500% – getting inquiries almost daily. 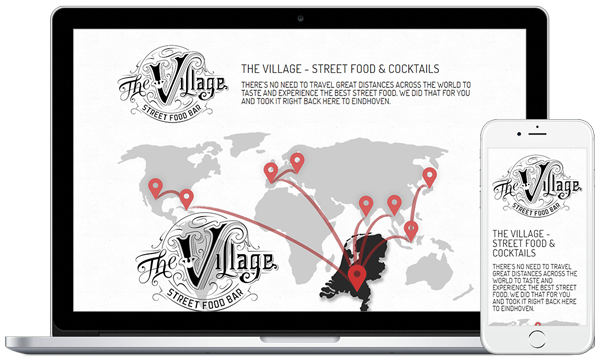 The Village is a small restaurant & cocktailbar in Eindhoven, The Netherlands. The goal of this website was building a local clientele, but also getting decent traffic from tourists in the area. Using local SEO techniques combined with a social media content strategy resulted in high traffic from both organic search and social media channels. MIEE is a personal training company in The Netherlands. The homepage was designed as a landing page using the tried and tested AIDA-format (Attention, Interest, Desire, Action) to generate solid leads. Additionally, it features a portal for clients to keep track of progress.